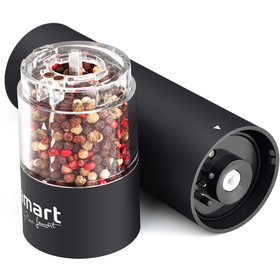 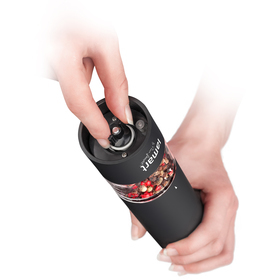 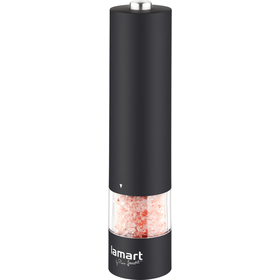 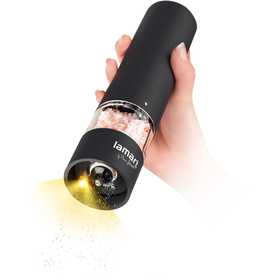 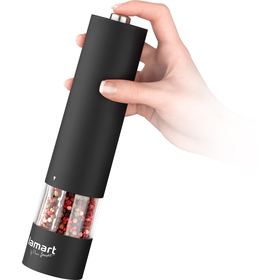 This spice/pepper/salt grinder is made from soft plastic with a ceramic grinding mechanism with adjustable grinding fineness. 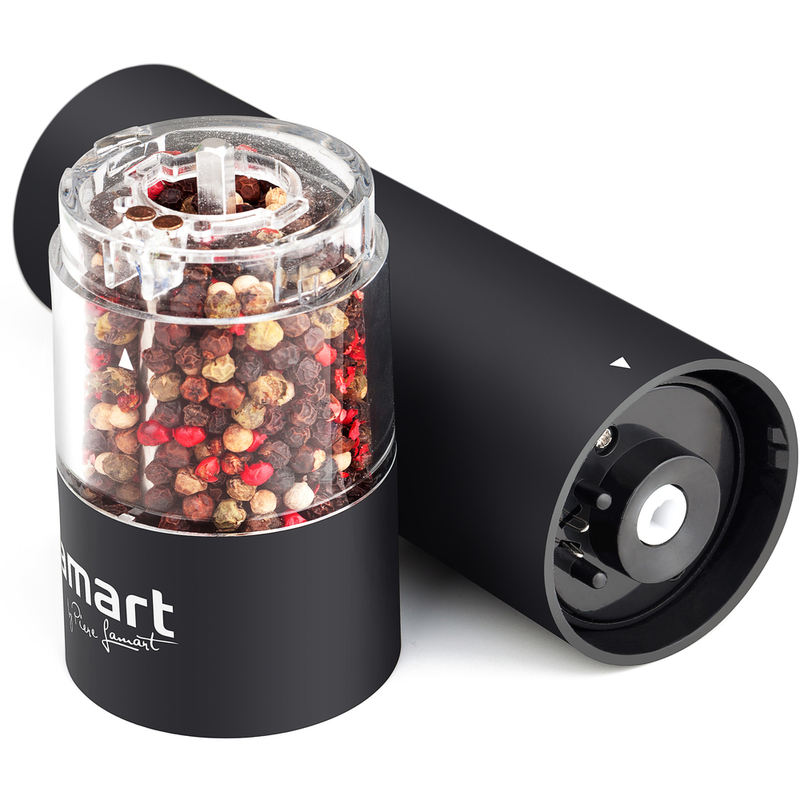 Its clear hopper makes it possible to see how full the grinder is. Single hand control of the grinder by pressing a button, grinder motor powered by 4x AA batteries (not included).